Valentine's Day is quickly approaching. There's just over a week left to make plans. No need to stress, though. We're here to help you impress your special someone. You could watch a burlesque show in a romantic restaurant, or listen to love songs among priceless art. Check out all five date ideas below. Think of these as an upgrade to the classic "Let's go out for drinks!" date. 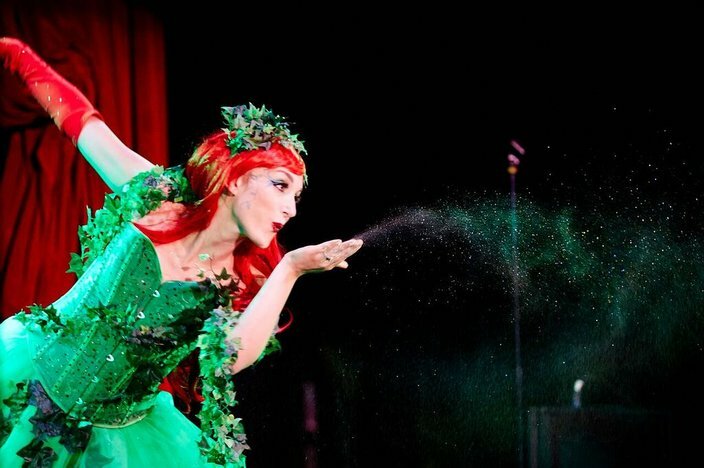 Hattie Glitter to perform at Absinthe Makes the Heart Grow Fonder. Royal Boucherie, Old City's American-inspired brasserie from "Top Chef" winner Nicholas Elmi is celebrating Valentine’s Day a little early with Absinthe Makes the Heart Grow Fonder on Feb. 13. It's an evening of absinthe, hors d’oeuvres and burlesque, starting at 8 p.m.
Tickets are $25, and include six performances by the fabulous Ginger Leigh, Violet Outburst and Hattie Harlowe, bites and an absinthe cocktail. Celebrate the holiday with beer, cheese and chocolate at Di Bruno Bros. 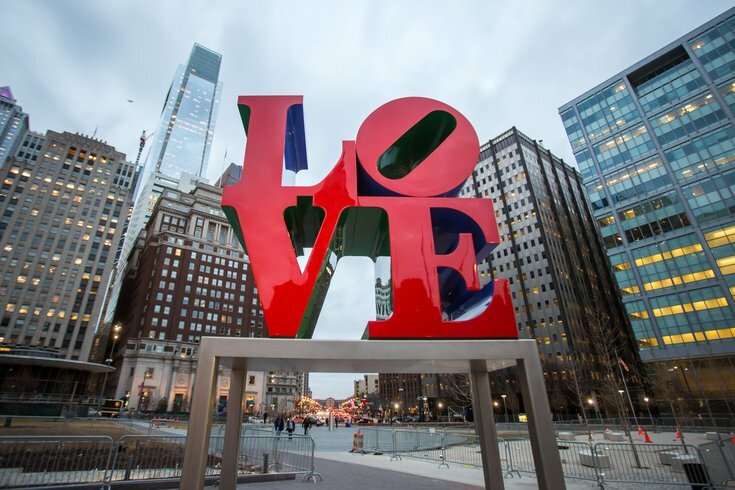 The Rittenhouse location is hosting the evening event, where five different Allagash beers will be paired with chocolate-y bites and cheese spreads. There will be live music, an artist creating illustrations and goodie bags, too. A pair of tickets is $75, with a portion of proceeds going to the American Heart Association. Watch the '90s movie, starring Leonardo DiCaprio and Claire Danes, the evening before Valentine's Day. It's a modern version of Shakespeare's tragic and romantic play about two young star-crossed lovers. Couples can bring a bottle of wine or six-pack of beer for the screening. Tickets are $7-$8. Also, the next day there will be a screening of "Casablanca" at Center City's Philadelphia Film Center. The theater will have its own Rick's Cafe. Get all the details here. Stop by Manatawny Still Works on East Passyunk Avenue before or after a romantic Valentine's Day dinner. The tasting room is serving cocktails inspired by couples from movies that have a Philly connection. They'll be available on Feb. 13 and 14. Each pair is $18. Below are the drinks, with details from bartender Ben Spirk. • Rocky & Adrian from "Rocky" – "Our whiskey works well with chocolate and our whiskey old fashioned is our most popular drink, so it just felt right to start here. One cocktail is light and bright, and the other is more like having dessert." • Pat & Tiffany from "Silver Linings Playbook" – "We brought back an old favorite of ours, a bourbon-gin mashup, for a punched-up sour, then coupled it with a daiquiri-style drink with tart cherries. It’s pretty sensual." • Kate & Angie from "Baby Mama" – "This set is for the vodka lovers., and lovers in general because we use figs in one of the cocktails, which are said to be aphrodisiacs." • Scott & Stefan from "Best in Show" – "Finally, it’s our ode to the French 75 and Aperol Spritz. Plus, bubbles are very celebratory and this is a special occasion." 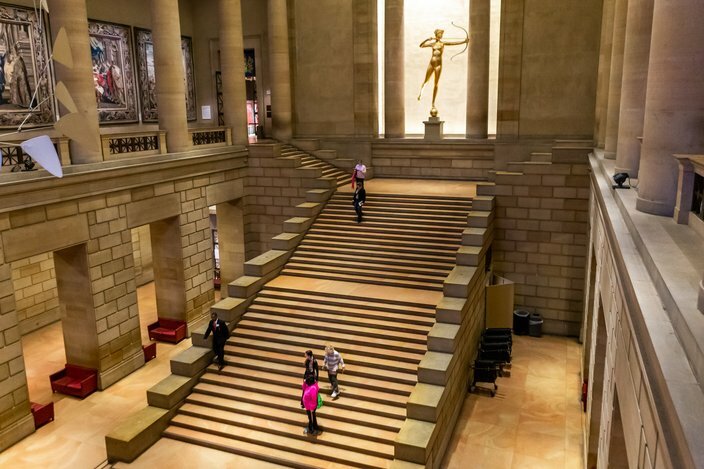 The Philadelphia Museum of Art's Great Stair Hall. On Friday nights, the museum stays open late so visitors can kick off their weekend with art, music and cocktails. On Feb. 15, jazz vocalist Michelle Lordi will perform love songs in the Great Stair Hall. Cocktails and tapas from Constellation Culinary Group can be purchased throughout the night. Stroll hand-in-hand through the museum with your date, share a drink and cozy up during the intimate concert.